The Lunar New Year is a day when families gather for an annual reunion dinner to mark the beginning of a prosperous year. Lunar festivals are celebrated here in the Philippines with elaborate meals and traditional feast with friends and family. 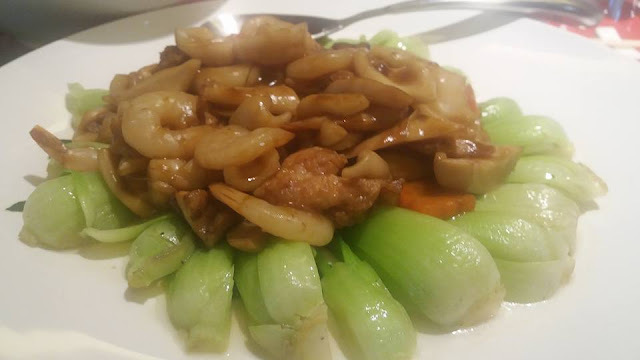 Certain dishes are staples during the Chinese New Year for their auspicious, symbolic meaning. Food is the cornerstone of the Chinese New Year celebrations Most families serve lucky food during this festive season, believed to bring good luck for the coming year. 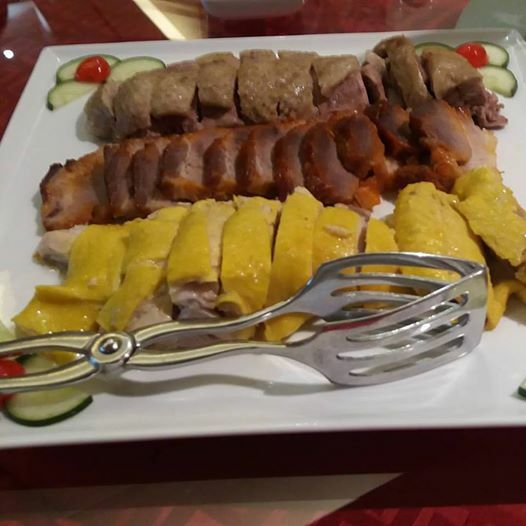 The food preparation, and ways of serving and eating is expected to attract a year of good health, prosperity, luck, happiness and peace this Year of the Fire Rooster. Food Exchange Chef Alen Meng from China has curated 3 sumptuous Lauriat Family Set Menus to share with people close to your heart. And I joined in and sampled one of the three special Lauriat feast created for the upcoming Year of the Rooster earlier today. 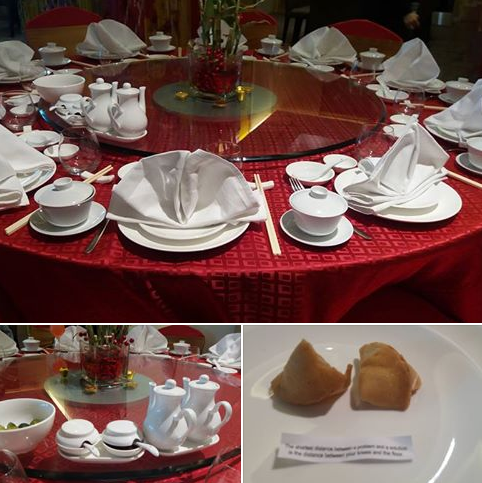 We were treated to a revelry of good fortune, and great food at the Novotel Manila Araneta Center's all-day dining restaurant. 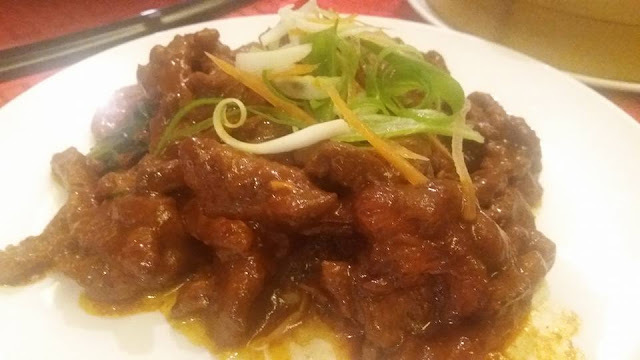 We savored a bounty of Chinese culinary from the Fortune Set (P 18,888++) that features 15 specially prepared dishes. This includes: Assorted Chinese Cold Cuts, Sweet and Sour Squid & Garlic Fungus and Cucumber Salad, Jilin Black Chicken Ginseng Soup, Xinjiang Spicy Stewed Chicken, Taiwanese Stir Fried Beef with Sha Cha Sauce, Steamed Grouper Fish in Light Soy Sauce with Ginger and Spring Onion, Dalian Style Stir-Fried Mixed Seafood, Dimsum Sets, Cantonese Wok Fry Noodles, and Wagyu Beef Fried Rice. The Chinese dumplings, made to look like Chinese silver ingots, meant an opportunity to make more money when eaten during the Lunar New Year celebrations. 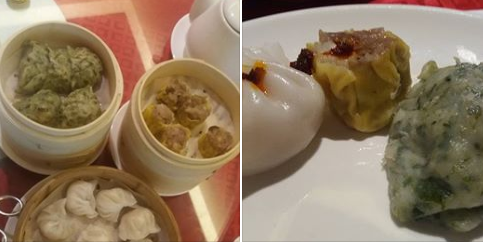 I so love the steamed dumplings with minced pork (Siomai) and diced shrimp (hakao) wrapped in a thin and elastic dough skin. Chinese New Year always includes Fish as it equates to an increase in Prosperity. 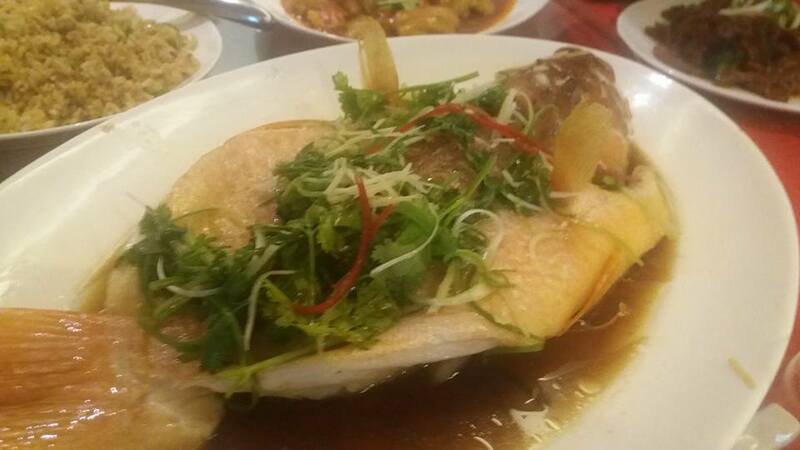 The steamed grouper was light but savory to the palette. It was a first for me to sip a wonderful soup made of black chicken. They this to us in individual bowls. 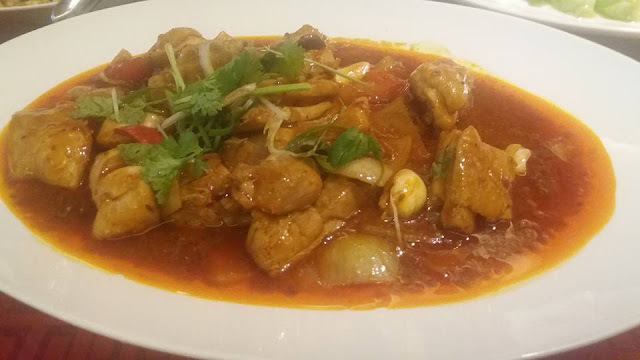 Our next dose of protein came as the Xinjiang Spicy Stewed Chicken and Taiwanese Stir-Fried Beef was served. The Cantonese Wok Fry Noodles, and Wagyu Beef Fried Rice came in next to complement these yummy dishes. 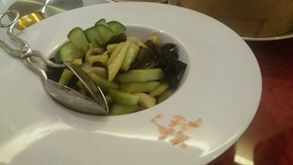 The Noodles symbolizes a wish for longevity and its length is symbolic of the eater's life. The longer and uncut the noodles are, the better. After a healthy protein fix, we were offered sweet treats to cap off a hearty meal. 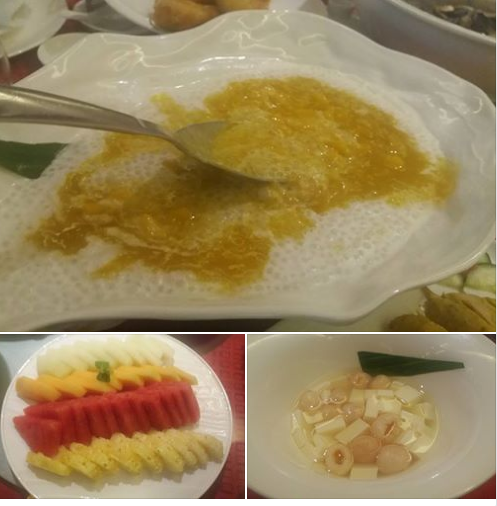 We were served Sweet Rice Roll with Black Sesame Seed in Rice Wine, Almond Lychee, Mango Sago, plus Tikoy Roll to cap our indulgence. I loved the Sweet Rice Roll with Black Sesame Seed in Rice Wine as it tasted really good! In Chinese people's minds, eating food made with sticky rice meant an increase in rise in business success, promotions at work, better positions year-after-year by year. In addition, the round shape is favored by the Chinese during the New Year celebrations as is signifies "being together". 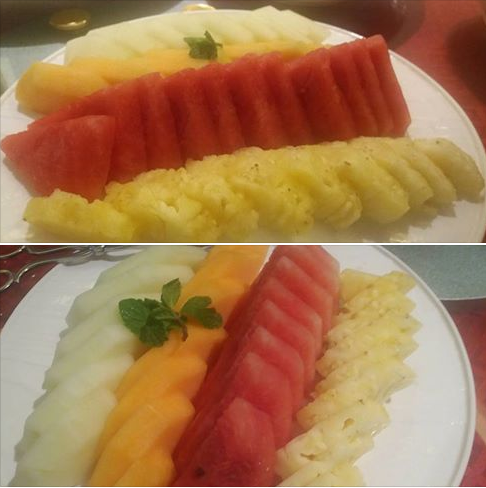 Eating round Fruits and those "golden" in color during the Chinese New Year implies Fullness and Wealth. Indulging in the Fruit Platter is believed to bring in more wealth. Food Exchange Manila features all 3 Lauriat Set menus for a limited time only. Gather around and delight in specialty dishes from Chef Allan Meng to usher in good fortune, happiness, wealth and longevity until January 29, 2017! 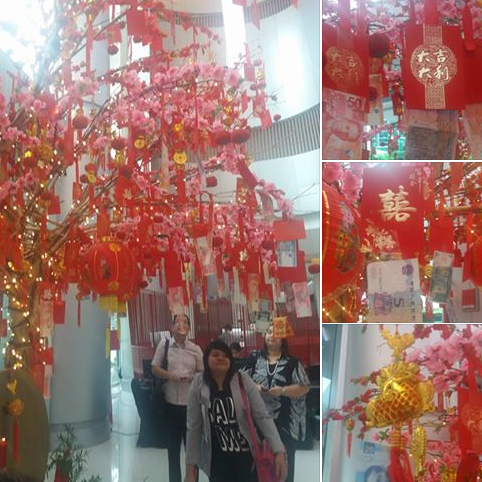 When you are at Novotel Manila Araneta Center , have your photo taken beside the Money Tree with red envelopes to remind you of good fortune all year long. The Chinese give away red envelopes that contain money because red is the symbol of energy, happiness and good luck. The color red is believed to bestow happiness and blessings on the receivers. Make a wish at the Prosperity Tree as the new energy of the Year of the Rooster will make way for new beginnings. Stay at Novotel Manila Araneta Center from Jan 23-30 starting from P 6,888 nett. A relaxing weekend staycation in a Superior Room (P 6,888) entitles you, your partner plus 2 kids ages 15 and below to a sumptuous Buffet Breakfast plus Chinese Prosperity Buffet Dinner at the Food Exchange. Avail of Wish N Treat promo and get to pamper yourself and a friend to a well-deserved one-hour massage for two (2) at In Balance Spa worth P 3,000! Check out the Gourmet Bar from January 25 to 29 and enjoy an Auspicious High Tea (P 1,874 for 4 pax) which features premium tea with Chinese delicacies such as Mini Pao, Siomai, Tikoy Roll, Rice Mango, Cake Roll and Gulameka. Call (02) 9907888 now for reservations or visit www.novotel.com and www.accorhotels.com to know more about these Chinese New Year packages. We love how Novotel notch up their menu to suit the needs of their guests. Their facilities are superb! They have something to offer for all the members in the family. Yay! :) Belated Kiong Hee! Last time we had a family lauriat was during our temple's saint's birthday. Auntie paid for a whole table of sumptuous though not in Novotel. Just brings a lot of memories to be feasting with the family. Everything looks yummy! We don't prepare dor CNY unlike the calendar new year but yes to dining out and feast on Asian food! What I missed from chinese food is their dumplings, the street foods are also good. I wonder how much the lauriat menus cost. What is a garlic fungus??haha! But I love Chinese food. I always eat a lot when we dine at a Chinese resto. Sweet rice roll with black sesame seed in rice wine sounds insteresting. Never had it before, what does it taste like? 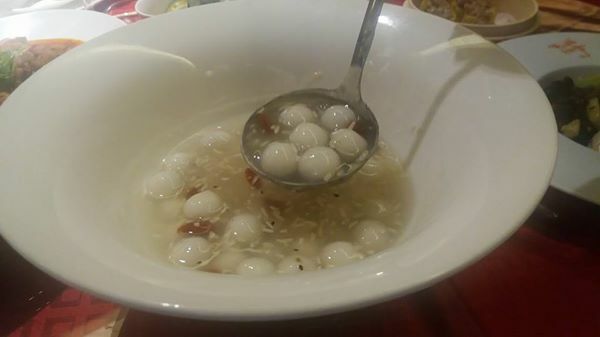 It was like biting into a supersoft and smooth "bilu-bilo". Its flavorful, clear soup was served lukewarm. Chinese foods are really delightful. My family loves visiting chinese food chains kasi asian na asian eh. Patok talaga sa panlasang pinoy! Yummy!!! I hope you enjoyed your stay! Would have loved to partake on something like this during the lunar new year but we decided to stay home because of the baby. The only way we celebrated was by having tikoy at home. Haha! When I saw photos of my friends who had an R&R at Novotel, I got jealous and wanted to try it for myself. Seeing your food shots is like a sign that Novotel would be our next R&R destination. Their Chinese New Year lauriat meals look scrumptious! It would be nice to experience Chinese New Year celebrations like this. I used to hate Chinese food. But now that I am older and hopefully wiser, I get to love their food and even could eat them everyday. 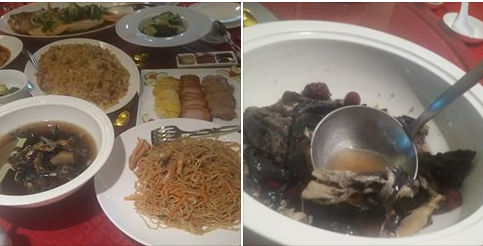 I particularly love Century Egg and pancit. Their dim sum are also love, same with their chicken cooked in a very different way we prepare and cook. 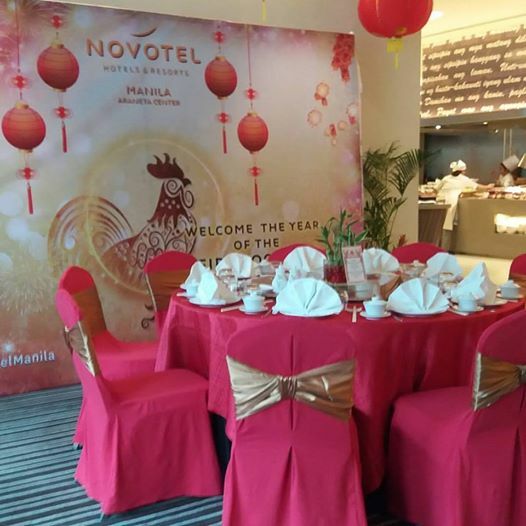 Seems like celebrating Chinese New Year at Novotel is a great treat. Love the spread of food, as usual. That really is a fortune set, you were so fortunate to taste it! Parang masarap lahat. This must've been an awesome experience. I love all the food, too! :D I have tried celebrating Chinese New Year in Binondo and it was festive and grand! I loved the dragon dance and the fireworks. I would love to try that again soon.